"What I love about Julie is her spirit - always positive and happy. We weren't even dating at the time, and we had a really long day and a friend of mine jokingly asked if we should take the sailboat to Fire Island. I turned to Julie, and she said 'yes'. I knew there was something special about her that night, and we've been having little adventures ever since then." 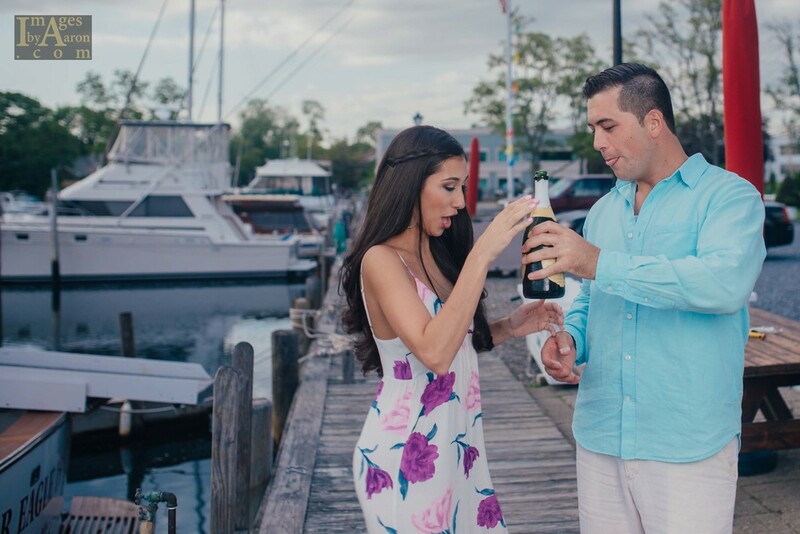 We had the pleasure of enjoying sailboats, piers, champagne toasting, margaritas, and a TON of laughs with this beautiful and super fun couple.